Why Choose Odd Job Man? Managed and run by ex-armed forces tradesmen, you can trust us to deliver high standard of workmanship. 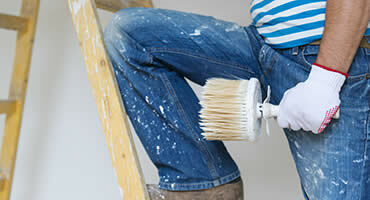 You can rely on us to be there on time, to care for your property and see that the job is done right first time. No need to fear a quotation from us, we have crystal clear daily rates to help you get the most from our days work. Odd Job Man came about as an ex-Royal Electrical & Mechanical Engineer who had spent 8 years managing a property portfolio had finally had enough of dodgy tradesman. With years of property development experience under his belt he knew that both he and his fellow ex-armed forces tradesman could do a far better job than that which is generally found in your local area. Your crews work more than expected. They came to work on time and got on the the work very swiftly. They are friendly and easy to work with. Will definitely hire again.